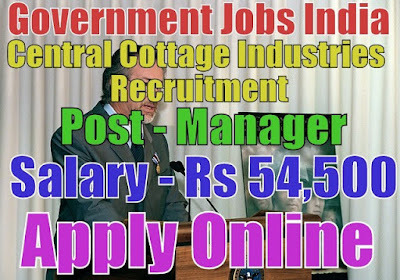 Central Cottage Industries Corporation of India has published recruitment notification 2017 for 04 additional general manager and deputy manager posts. All legible and interested candidates have to apply on or before (18-03-2017). Further more information about salary details, educational qualification details, application fees and all other details / information about these posts is mentioned in detailed below. 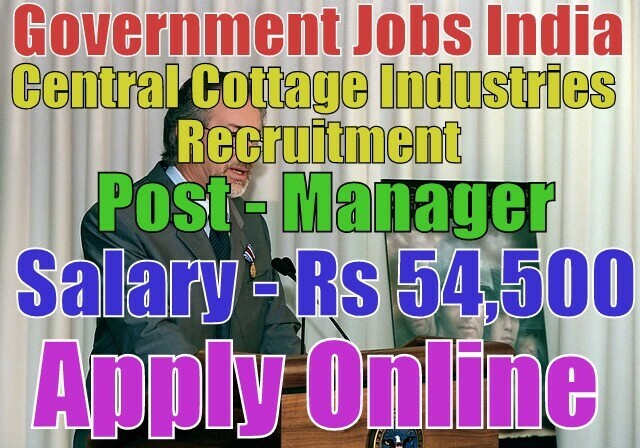 Age Limit - For central cottage industries emporium recruitment, candidate age should be less than 45 years. To know more information about age details as post wise, go through detailed advertisement mentioned in last. Educational Qualification Details - Candidates must have done matriculation, 12th, graduation degree with at least 50% marks with MBA, post graduate diploma in purchasing / marketing in handicrafts, CA / MBA or it's equivalent / relevant / higher qualification from recognized board or university. To know more information about educational details, see advertisement. Selection Method - For manager vacancies, candidates will be selected on the basis of their performance in personal interview. Candidates must be prepared for personal interview. Application Process - All legible and interested have to apply online from official website or from given link below. Candidates can download application form mentioned in last. Application Fee - No application fee need to be paid by candidates.